Notification with the passing of retired DL pilot Captain Larry D. Deppe, age 67. Captain Deppe joined Delta Air Lines 05-09-1977. First based in Chicago, Captain Deppe was based 030/CVG for the majority of his commercial flying career. Visitation and services will be held tomorrow and Monday July 20th and 21st in Illinois. Please follow us on our blogspot at http://pcnflightwest.blogspot.com/ where this and any additional information will be posted. 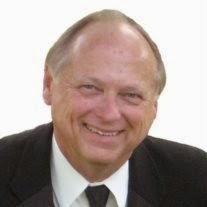 Larry D. Deppe, 67, of Morton, passed away at 9:23 a.m. Wednesday, July 16, 2014, at Apostolic Christian Restmor in Morton, surrounded by his loved ones. He was born March 7, 1947, in Chester, Ill., to Dale and June (Hetherington) Deppe. He married Elizabeth “Liz” Schaffner on Sept. 27, 1969, in Baldwin, Ill. He was an active member of Morton United Methodist Church, where he had served as president of the United Methodist Men. He was a faithful participant in Bible Study Fellowship. He also was a member of American Legion Post 318 in Morton. Larry loved the Lord and his family. He enjoyed traveling with his family, watching movies and pursuing his interests in American History and aviation. Services will be held at 10 a.m. Monday, July 21, 2014, at Morton United Methodist Church, with the Rev. Gary Motta and the Rev. Paul Walles officiating. Visitation will be from 4 to 8 p.m. Sunday, July 20, and from 9 to 9:45 a.m. Monday, both at Morton United Methodist Church. Burial will be at Hirstein Cemetery in Morton, where full military rites will be conducted.